Online Registration Opens January 25th, 2019! Our program is facilitated by highly experienced teachers, who work in local school districts during the year (See their bios below). *We do not offer before or aftercare at this time. Registration fills up quickly, so be sure to register early. Please pay online by credit card only to guarantee your child’ placement. Online registrations are now being accepted on a first come first serve basis. After you register on-line via credit card, download and complete Camper Registration Form. 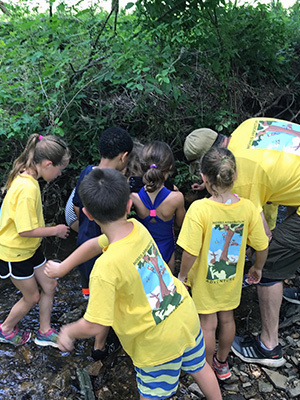 *Most weekly camp itineraries include science experimentation, daily hikes, creek exploration, guest speaker chats, birding walks, craft activities, and sprinkler play. 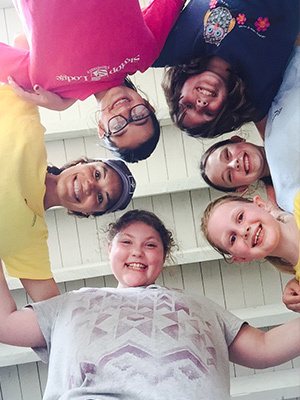 Join us for another fun and educational a packed summer by registering today. Don’t miss out on our early-bird discount ending on March 8th, 2019. We fill up fast! Don’t forget to check in on January 30th! Please note our new cancellation policy. Planning ahead can be challenging for everyone, but please be mindful when making your camp registrations. We try to accommodate requests to change scheduled weeks, however, since we fill up so quickly this is not a guarantee. Online registration is coming soon. Register by March 15th to receive our Early Bird discount of 15% off. Weeks are filled on a first come first serve basis. Celia received her M.A. from The University of Pennsylvania, where she completed her Capstone project “Outdoor Play and Children’s Storied Constructions.” Celia currently teaches the first-second grade at The Miquon School, where much of the curricular studies use the wooded campus and creek as an outdoor classroom. Celia spent time at the Shelburne Farms Early Education for Sustainability program in Vermont for professional development in farm-to-classroom exploration, and she presented workshops on outdoor play at the Schuykill Center for Environmental Studies and at the Progressive Education Network. She spent many an adventuresome afternoon at the Arboretum in her childhood and celebrated her wedding here! Brian is a science experiment wizard! Brian earned a Bachelor’s of Science from Neumann University in Environmental Studies and Education as well as a Master’s of Science in Science Education from Arcadia University. He is currently teaching eighth grade science at Norristown Area School District. 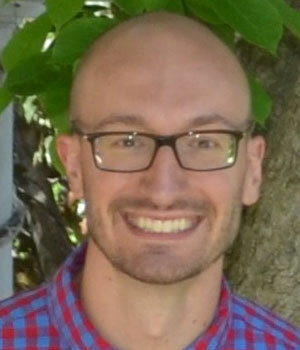 Brian is an experienced educator who enjoys relaying his understanding and passion for science to his students. In his spare time he enjoys gardening, playing many different sports, and spending time with his adorable family. The thing about the Morris Arboretum that inspires him most is that the Arboretum becomes his summer classroom. The Arboretum offers him, and Adventure Campers, opportunities to learn and respect the many beautiful ecosystems. Brain’s favorite book to read to campers is The Lorax, by Dr. Seuss. 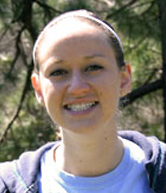 A veteran counselor of Morris Arboretum’s Summer Adventure Camp, Sarah Fabian works in special education within the Norristown Area School District. Sarah has a Bachelor’s of Science from Penn State University in Special Education grades K to 12 and a Master’s of Science in Brain-Based Teaching and Learning from Nova Southeastern University. In her free time, Sarah enjoys reading, doing arts and crafts, spending time outdoors, being active and hanging out with family and friends. She is a talented artist! Sarah has always been a naturalist at heart. 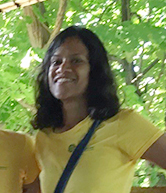 As a child, Sarah and her family enjoyed vacations to bucolic landscapes, where they spent time camping, breathing in fresh air and appreciating the natural world. Her days at the Arboretum take her back to those childhood memories. Sarah loves all that Morris Arboretum has to offer—nature, beauty, fun, and above all, a chance to learn and experience the great outdoors. Sarah and her husband Matt Fabian make a fantastic cam counselor duo—often working during the last two weeks of our camp offering. Matt Fabian is the Arboretum’s ultimate Nature Ninja Warrior! 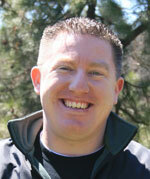 Matt is an elementary health and physical education teacher in the Pottstown School District. He coaches basketball at both high school and middle school levels, and has worked for various basketball summer camps throughout his career. Matt earned his bachelor's degree of science from Ursinus College where he majored Exercise and Sports Science. At Ursinus, he played varsity men's basketball for all four years and was team captain his senior year. He earned his Master's Degree in Education at Cabrini College. In his spare time, Matt enjoys exercising, playing guitar, reading comic books, listening to music, and watching movies. 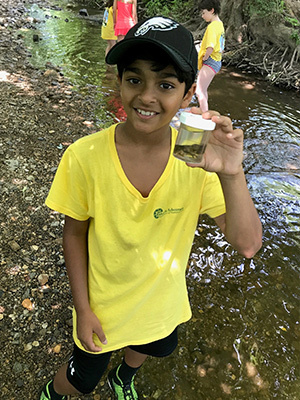 His favorite part about being a counselor at Morris Arboretum is presenting campers the opportunity to have fun and learn away from the computer and television. Morris Arboretum for its variety of landscapes and land forms, and looks forward to having fun and getting his hands dirty with Morris Arboretum campers this summer! 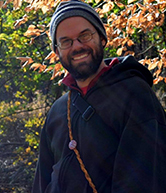 Anthony Natale (Ent) has been teaching a variety of fun and interactive continuing education courses at the Morris Arboretum for the past few years that cater to young nature lovers. During the school year, Ent works as an Outreach Educator with BioEYES Philly. He enjoys teaching youth within the framework of informal science education with a focus on lab and inquiry based learning. Ent is a collector of rocks, tree parts, Transformers, and Funko Pops. He is an amateur photographer, avid outdoorsman (camping, hiking, backpacking), a naturalist and fire maker. Quinn is entering her senior year at Loyola University Maryland, where she is studying Elementary and Special Education. 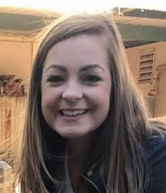 Quinn has served as a student teacher for Baltimore City Public Schools and recently completed an internship in the Pediatric Division of Healthcare for the Homeless in Baltimore. She has been coming to the Morris Arboretum for more than 20 years! Her favorite part about summer camp is watching the campers play outside all day as they explore and discover the world around them. Caroline will be entering her senior year at Fairleigh Dickinson University in Madison, NJ this fall, where she is majoring in Education and Psychology, and is also a member of the women’s lacrosse team. 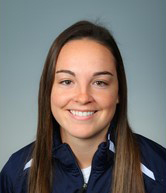 Caroline has worked with children for several years as a youth lacrosse coach and a licensed swimming instructor. A regular Arboretum visitor since she was born, Caroline’s favorite part of camp is being able to now share her love of nature and the Arboretum with our youngest campers.